I wasn’t born with gorgeous Cara-esque brows, but like many girls out there who have the same problem as me, that doesn’t mean I can’t fake it. For years, I’ve tried my best to create natural-looking brows that won’t come off easily when I accidentally scratch it (mostly it’s due to a tickle from a random strand of baby hair), and I might have finally found the secret trick to do this. It’s nothing like glueing on your own hair to create brow extensions, but you get a good-enough effect that takes a shorter amount of time to create and that will last you the entire day. 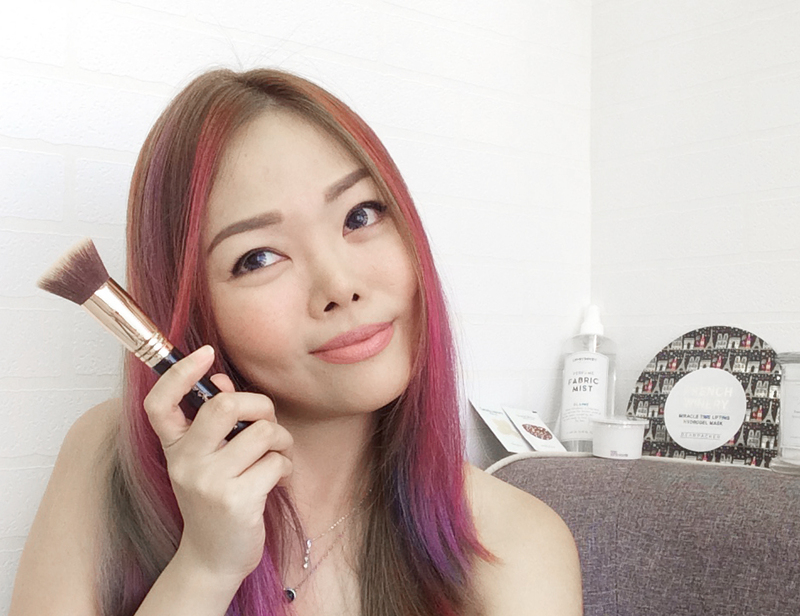 Products I used in this video are mainly the BOURJOUR BROW DESIGN BROW MASCARA in 03 Chatâin and the Heavy Rotation Powder Eyebrow & Nose Shadow (you can get the very similar JAPONESQUE BROW KIT if your local drugstore doesn’t stock Heavy Rotation). And of course, to finish off your entire look and look polished, I always, always recommend the GUERLAIN METEORITES ILLUMINATING POWDER PEARLS. There isn’t one real way to use brow powder or brow shadow. Some people might prefer using a brow crayon in any case. But brow crayons can be tricky, because some of them have unique formulas that make the product come off only when they come in contact with your brow’s hair oils. This means that if you have sparse brows, or if you have over-tweezed ones, you won’t have much luck with those crayons. Thus, I recommend brow crayons only for people who already have a good amount of brow hair and just need that extra bit of definition. Brow powders, on the other hand, also create natural-looking brows but can come off easily when touched. To prevent this, you should use a brow mascara together with the powder. Apply the mascara first to tame the brow hair strands and keep them in place (and pointing in the right direction). The liquid of the mascara also helps to seal in the brow powder’s pigments when you apply it on right after. The mascara adds some colour onto your skin (yay, you don’t need hair for this), so you have more control over how you want your final brow shape to look like. One final tip: Do one brow completely before moving on to the other one. You don’t want the brow mascara to dry up before adding the powder on top. Using brow mascara and powder together really helps your brows look they way they did at 8am when it’s already 10pm. I hope you found this mini tutorial helpful. You can also check out my other blog entry on how you can create perfect brows in general, where I also list some other recommended brow products. If there’s any beauty tutorial you wish to see, just let me know! Also, don’t forget to subscribe to my YouTube channel, and follow me on Instagram and Facebook. Be an Expert: How to Define Sparse Brows with Ease Using Brow Mascara and Brow Powder was last modified: October 7th, 2016 by Roxanne C.